Almost every book sold has an International Standard Book Number (ISBN), yet confusion still surrounds this code. Learn how to use ISBN, how to get it, and what it means. Includes questions and answers about ISBN, and how to decode both the ISBN and the Bookland EAN barcode that appears on the back of your book cover. 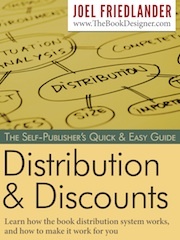 Did you know you don’t need an ISBN to publish and sell your book? But you really ought to have one if you plan on selling through retailers, whether online or not. Controlling your own ISBN is the key to being a true self-publisher. Should you spend the money to get your own ISBNs or take the freebie being offered by companies that want your printing business? This PDF contains everything you need to know about ISBNs to get up and running as a self-publisher. The lessons in this guide will give you everything you need to know about ISBNs for your book. How to decode the Bookland EAN barcode that appears on the backs of books. There’s a resource section with live hotlinks to all the resources you need to get your ISBN and register your books, as well as ISBN resources for more information and study. Takeaway: If you plan to self-publish, or if you have questions about ISBNs and whether you need one, download this report and get the answers.